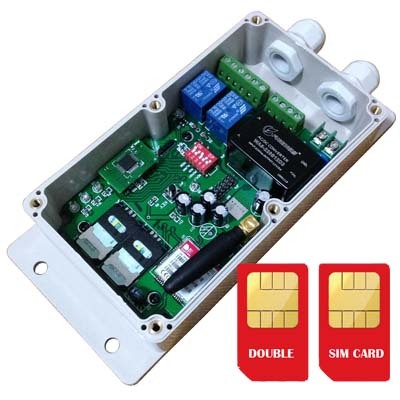 GSM-DKEY is a updated version from GSM-KEY-AC200 , double sim card slot on board. you can use each SIM card to do the phone calling control the seperate Relay. Our free shipipng is through very fast DHL or TNT express delivery,normally only 3 to 4 days would arrive your site and very easy to tracking online. The GSM-KEY System is an advanced secured system that is based on the cellular network , The GSM-KEY system works with Caller ID and when an authorize number calls, the system will recognize the caller and open the gate, While it will not answer the call as the call will not cost anything. GSM-KEY incorporates a professional industrial grade GSM engine that receives calls at its SIM number, as any ordinary GSM phone. You need to use any operator that operates in the 850/900/1800/1900 Mhz band, that is the standard in most of the world, Just to give an example, if your SIM has a phone number 35674564, that is the number you have to call to open the gate.GSM-KEY has a memory where you will store the numbers of people enabled to open your gate (up to 200) When GSM-KEY receives a call, it will check the calling number and if the number is in the list you have prepared it will reject the call and open the gate. Cheaper cost Compare to stand alone, little higher cost. Time zone settings can't set. Very simple function Various functions can be done. 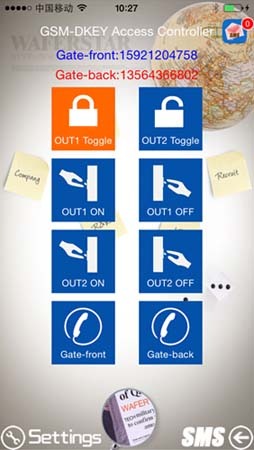 Different access level settings can be done for different groups of employees. Does it work with any electric gate? Yes. All electric gates have a button that is used to open them. GSM-KEY has a relay whose contact has to be connected to the oopening button. Actually it pushes the button in your place. Does it cost me anything to use my phone to open my gate? 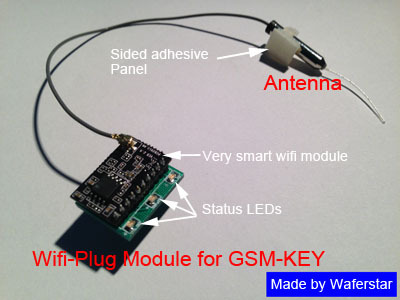 GSM-KEY doesn't answer the call, it simply checks the caller ID. 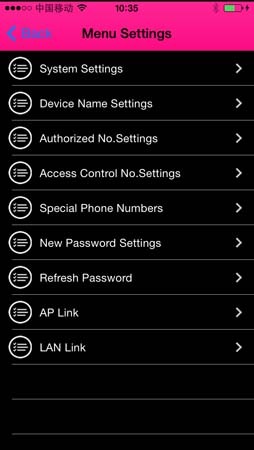 Your network must send the caller ID otherwise GSM-KEY won't work. Usually operators don't charge until you answer the call, so it won't cost you anything to open the gate with GSM-KEY. Of course you need to have an active SIM inside it, and this may have a monthly fee regardless of the calls. Check your local operators for these details. What is the maximum working distance? GSM-KEY doesn't have limitations like a normal remote control. Using a mobile phone you can open from very far away, even from another city! It is really convenient to arrive in front of your house when the gate is already open, without having to wait in the middle of the road. How can I enable different phone numbers to open my gate? To store a number, you simply send an SMS, that starts with a password, to GSM-KEY, indicating the phone number to enable, and its position in the list. Numbers are stored in GSM-KEY memory and not on the SIM. This prevents somebody from removing the SIM to copy all the numbers into a mobile phone. Only the one who knows the password can insert or delete enabled phone numbers. 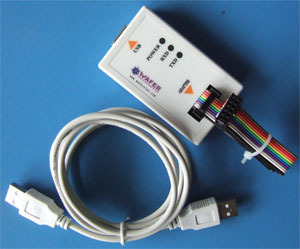 For faster operation you can order from us a special Software to connect the GSM-KEY to your PC and input numbers. How many different phones can open my gate? GSM-KEY accepts up to 200 full numbers,In additional 40 special phone numbers available that allow entrance to the building by time and days of the week..
What else do I need besides GSM-KEY? You need only a valid SIM card. Install GSM-KEY, insert SIM, program enabled numbers and you are ready to go. Is it difficult to install it? 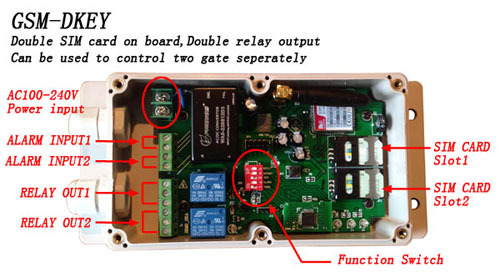 You need to connect the 2 wires that come out of the box in parallel with the Gate push button. Connect it to AC power ( 230V 20VA), insert SIM and start programming numbers (12 numbers can be programmed with only one SMS). 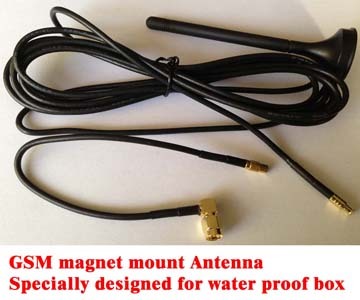 Installing GSM-KEY is simple for anybody with enough technical skills. 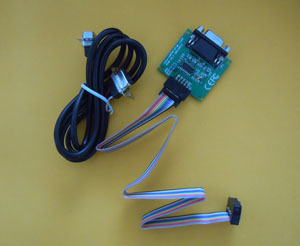 WiFi-Plug module (Optional parts), Wireless program makes Everythings become very simple and easy ! Manufactured by: Wafer Microelectronics Co.,Ltd. This product was added to our catalog on Sunday 10 August, 2014. Copyright © 2019 Onine Retail Shop of Shanghai Wafer Microelectronics Co.,Ltd.